The Otago region of New Zealand lies in the southeast of the South Island. The name "Otago" is derived from the Kai Tahu Maori dialect name "Otakou". The main city is Dunedin north of which is Oamaru, and south of which is Balclutha. 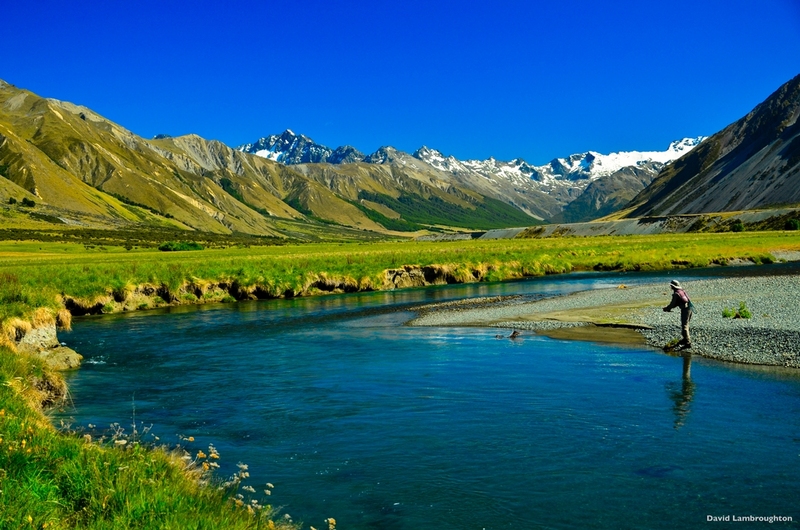 Central Otago is home to the tourist attractions of Queenstown, Alexandra, and Wanaka. Kaitangata in South Otago provides a prominent coal source. Alexandra is a town in the Central Otago district of New Zealand's South Island. It is located on the banks of the Clutha River, at the confluence of the Manuherikia River, 188 kilometers by road from Dunedin and 33 kilometers south of Cromwell. The district is one of the farthest from a coastline in New Zealand and one of the few to experience a continental climate with severe winters and hot, dry summers. 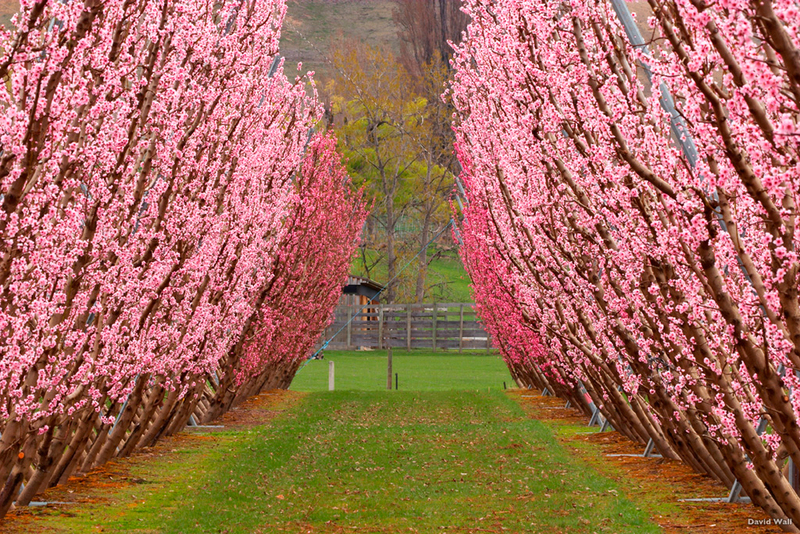 Alexandra is the service centre for a significant stone-fruit industry, which is celebrated by a blossom festival in the town each spring. 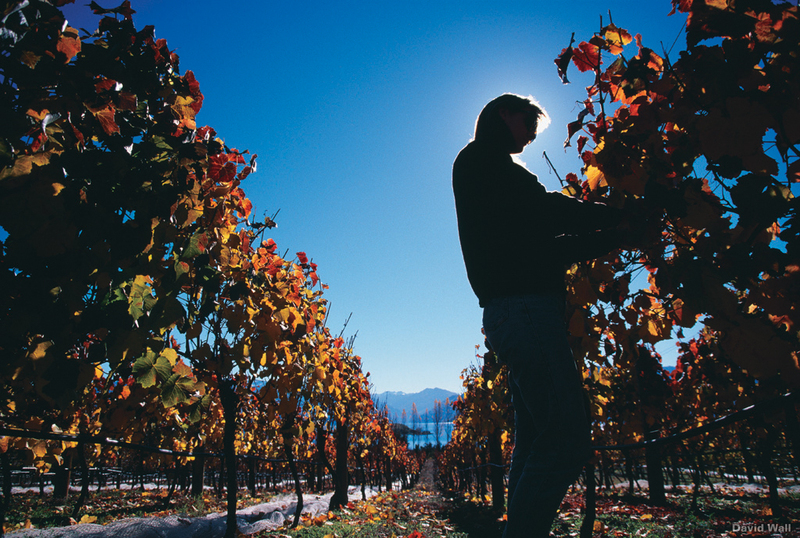 Grape production is another major industry in the Central Otago region. Arrowtown is a historic gold mining town in the Otago region of the South Island of New Zealand. It is located on the banks of the Arrow River. There is road access directly to Queenstown via the Shotover Gorge and the picturesque Lake Hayes. There are many well preserved buildings used by European and Chinese immigrants dating from the gold mining days in the town. Clyde is a small town in Central Otago, within the South Island of New Zealand. It is located on the Clutha River, 20 kilometres south of Cromwell. Cromwell is a town in Central Otago in the Otago region of New Zealand. It is situated between Wanaka, 50 km north, and Queenstown, 60 km west, and Lindis Pass, 75 km northeast, and Alexandra, 33 km south. The road to Alexandra winds through the Cromwell Gorge. Cromwell formerly lay at the confluence of the Clutha River and Kawarau River, but with the construction of the Clyde Dam and the filling of Lake Dunstan a large portion was rebuilt. Nearby settlements are at Bannockburn, Lowburn, and Ripponvale. 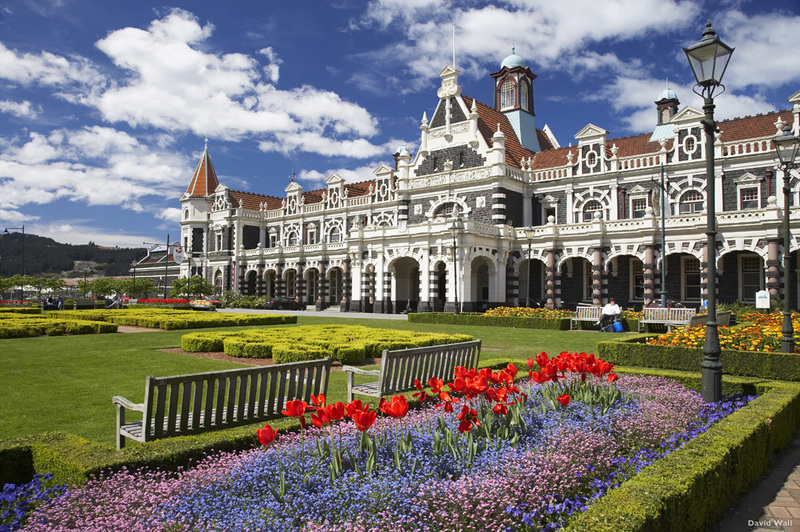 Dunedin is the second largest city in the South Island of New Zealand, located in coastal Otago. Known in Maori as Otepoti, the city stands on the hills and valleys surrounding the head of Otago Harbour. The harbour and hills are the remnants of an extinct volcano. Dunedin has flourishing niche industries including engineering, software engineering, bio-technology and fashion. Port Chalmers on Otago Harbour provides Dunedin with deep water port facilities. The Dunedin Botanical Gardens is to the north of the city. The cityscape glitters with gems of Victorian and Edwardian architecture including Larnach Castle, Olveston, First Church, and the magnificent Railway Station. Other not to be missed attractions include the world's steepest street (Baldwin Street), the famous Captain Cook tavern, and the local Speight's brewery. Tourists and students alike appreciate tours of the Cadbury chocolate factory. Dunedin is also notable now as centre for ecotourism. Uniquely, the world's only mainland royal albatross colony and several penguin and seal colonies lie within the city boundaries on Otago Peninsula. To the south of Dunedin, located on the western side of Lake Waihola, lie the Sinclair Wetlands. The thriving tertiary student population has led to Dunedin having a vibrant youth culture, which came to prominence with the "Dunedin Sound" rock bands of the 1980s and more recently a burgeoning boutique fashion industry. A very strong visual arts community lives in Dunedin and its environs. Sports are catered for in Dunedin by the floodlit rugby and cricket venue of Carisbrook, a soccer and athletics stadium at Logan Park, close to the University, and numerous golf courses and parks. There is also a horseracing circuit in the south of the city. St. Clair Beach, on the city's Pacific shore, is a well-known surfing venue. The climate is moderate. Winter can be frosty, but significant snowfall is uncommon (perhaps every two or three years). Spring can feature "four seasons in a day" weather, but from November to April it is generally settled and mild. Dunedin features the world's most southern motorway: this 10km divided highway section of State Highway One runs from the centre of the city to the southern suburb of Mosgiel. Inner suburbs: Woodhaugh; Dalmore; Pine Hill; Dunedin North; North East Valley; Opoho; Ravensbourne; Highcliff; Vauxhall; Waverley; Shiel Hill; Anderson's Bay; Tainui; Musselburgh; South Dunedin; St. Kilda; St. Clair; Corstorphine; Kew; Forbury; Caversham; Maryhill; Mornington; Brockville; Halfway Bush; Roslyn; Wakari; Maori Hill; Glenleith. Outer suburbs: St. Leonards; Broad Bay; Macandrew Bay; Waldronville; Green Island; Abbotsford; Fairfield. Towns within Dunedin City limits: Waitati; Warrington; Waikouaiti; Karitane; Purakanui, Port Chalmers; Sawyers Bay, Otakou; Portobello; Brighton; Taieri Mouth; Henley; Allanton; East Taieri; Momona, Mosgiel; Outram; Middlemarch. The historic Nugget Point lighthouse has a white stone tower 76 metres above sea level with a range of nineteen miles. Protected since 1986, the 47 hectare scientific reserve is a sanctuary for many of the southern coast's animals and birds. On a recent trip by Nugget Point Ecotours, 14 species of native bird were observed. 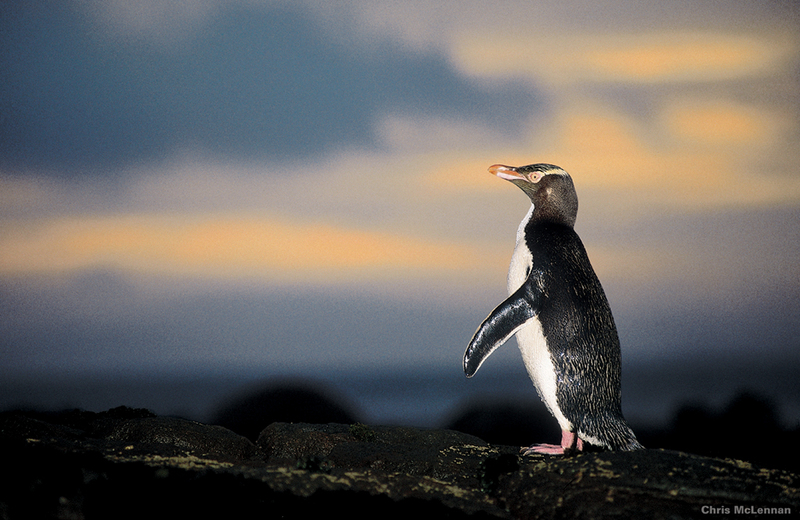 The area is also home to the New Zealand sea lion, elephant seal and New Zealand fur seal. The coastal town of Oamaru serves as the principal centre of North Otago in the South Island of New Zealand. 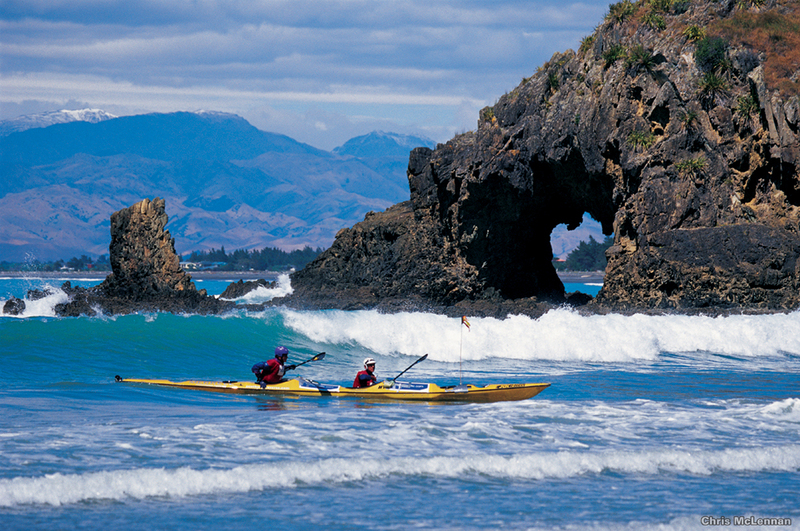 It lies on State Highway One, 80 kilometres south of Timaru and 120 kilometres north of Dunedin, on the Pacific coast. The name Oamaru apparently derives from Maori words meaning the place of Maru. The exact identity of Maru remains open to conjecture. European settlers arrived in the Oamaru area in the 1850s. The town grew as a service centre for the agricultural/pastoral hinterland between the Kakanui Range of hills and the Waitaki River. For many years a commercial and fishing port nestled under Cape Wanbrow. Many public buildings make use of a form of local limestone, quarried especially near Weston, and known as "Oamaru stone". The southern part of Oamaru's main business district is justifiably regarded as one of New Zealand's most impressive streetscapes, due to the many prominent buildings constructed from this material. This and another part of the town close to the harbour have been preserved as historic precincts. A colony of penguins is located in the southern part of the town. These residents attract ecotourists to Oamaru. Oamaru is the eastern gateway to the Mackenzie Basin, via the Waitaki Valley. Port Chalmers is a town located within the boundaries of the city of Dunedin, New Zealand. Port Chalmers lies ten kilometres inside Otago Harbour, some 15 kilometres northeast from Dunedin's city centre. Much of it is located on a small hilly peninsula, at the northern end of which is a large reclaimed area which is now the site of Dunedin's container port. Although the harbour beyond Port Chalmers is regularly dredged, most of the port activity is centred on Port Chalmers rather than on Dunedin. Much of the town's economic activity centres on the container terminal. Fishing, of historic importance to the town, is now only a small part of the economy. The port was the last visited by Robert Falcon Scott before heading south on his final expedition to Antarctica. Port Chalmers and the surrounding townships of Careys Bay, Roseneath and Sawyers Bay have a thriving arts community, and the town is regarded as a haven for alternative lifestylers. Queenstown, New Zealand is a resort town in Otago, in the south-west of New Zealand's South Island. It has access to four world class ski fields, and is surrounded by New Zealand's Southern Alps. The town was named because it was "...fit for Queen Victoria". Built around an inlet on Lake Wakatipu, a long thin "S" shaped lake in the Southern Alps of New Zealand, its neighbouring towns and districts include Arrowtown, Wanaka, Alexandra, and Cromwell. The nearest cities are Invercargill and Dunedin. A typical resort town, Queenstown is a centre for adventure tourism. Skiing, jet boating, bungy jumping and tramping are all strong promotional themes. Another reason that people travel to Queenstown is because of its reputation as a wine and food centre. Neighbouring Arrowtown features excellent restaurants and bars, and Queenstown lies close to the centre of a small wine producing region. Pinot Noir produced in this area fetches premium prices. Along with Mount Ruapehu, Queenstown is a centre for snow sports in New Zealand, with people from all over the country and the rest of the world travelling to ski at the four main mountain skifields, Cardrona, Coronet Peak, The Remarkables and Treble Cone. Te Anau is a town in the South Island of New Zealand. It is on the eastern shore of Lake Te Anau. Tourism and farming are the predominant economic activities in the area. Lying as it does at the borders of Fiordland National Park, it is the gateway to a wilderness area famed for tramping and spectacular scenery. Many species of bird life are also found locally, notably the endangered Takahe. Te Anau is connected by highway with Invercargill and Gore to the southeast and east, and Manapouri to the south. Te Anau is the last town passed through when travelling to Milford Sound, which lies 120 kilometres to the north. Wanaka is a town in the Central Otago region of the South Island of New Zealand. It is situated at the southern end of Lake Wanaka, adjacent to the outflow of the lake to the Clutha River. The town is part of the Queenstown-Lakes district and was called Pembroke until 1940. With its beautiful lake and mountain views, Wanaka has become a popular tourist resort, favoured by many for being less commercialised than Queenstown. However, very rapid development is threatening the area's serenity. Nearby skifields include Treble Cone, Cardrona, SnowPark, and Wairau Snow Farm, the latter including New Zealand's only commercial Nordic skiing area. Other attractions in the area include the Wanaka maze. Wanaka is also home to the biennial 'Warbirds over Wanaka' air show, held on the Easter weekend of even numbered years. Roads are closed and traffic is detoured around the area during the weekend. Hotels, motels and backpackers around Wanaka are usually booked in well advance (2 years ahead). Eichardt's opulent suites invite guests to soak up a sense of quiet before exploring one of the world's truly remarkable locations, Queenstown, in the South Island of New Zealand. Inhale the invigorating alpine air - then step out into the expectant evening and let the lights of Queenstown and canopy of stars guide you to one of the world class restaurants nearby. When winter's blanket descends over the town, the allure of open log fires, coffee aromas and cheery conversation beckon you in from the cold. Nestled in native bush overlooking Lake Wakatipu, Matakauri Lodge, is one of the world's most private and serene vacation retreats, only a short distance to Queenstown, the alpine wonderland of New Zealand. The Lodge and its adjoining villas are luxuriously appointed and have been designed to be in harmony with the lakefront environment and surrounding bush. Matakauri Lodge is unique ... the first luxury lodge to open in the new Millennium in arguably the world's finest destination resort, Queenstown.